Our entire staff of professional writers can’t even begin to describe how badass this picture is. 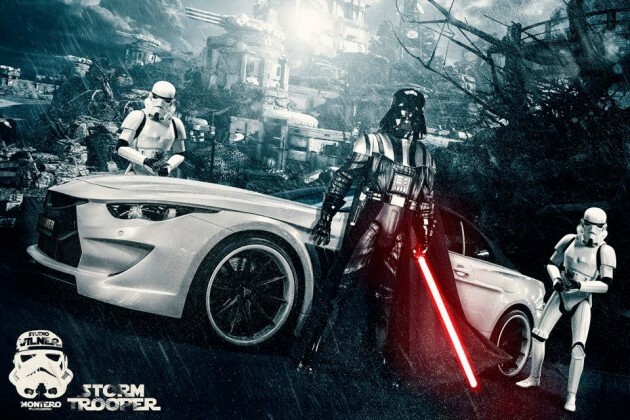 Bulgarian tuning company Vilner has combined two things we love: hot cars and Star Wars! We want to tell you all about it, but we’ll try not to overwhelm you with too many one-liners in the process. Modifying its BMW 6-Series Bullshark E63 coupe revealed last year, Vilner has proudly revealed images from its latest project, the BMW Stormtrooper. And it’s a whole lot cooler than that Darth Vader car from San Diego. 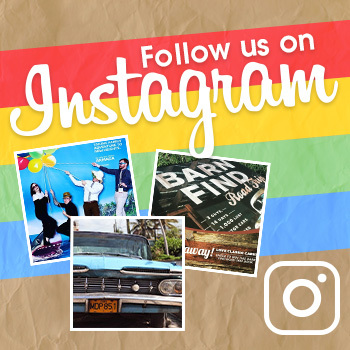 The following images may look too awesome to be true, but believe us–it’s not a trap! We sense great excitement in you already. IT’S A STAR WARS CAR!!!! Vilner has a habit of making nice sports cars look even cooler, and this time, they’ve outdone themselves. What started as drool-inducing concept sketches has become full-fledged automotive homage to one of the greatest franchises ever one year before its theatrical revival. Under the hood of the BMW Stormtrooper remains a relatively unchanged 5.0-liter V8 S85 engine producing 500 horsepower and 383 lb-ft of torque. As for the rest of the muscular vehicle, you’ll notice multiple alterations that suggest design imitations from henchman masks. The wide-mouthed frowning front fascia, flanked by front fenders on either side, reflect the air vents and frown on the helmet. You’ll also see new headlights, custom bumpers, a revamped hood, sleek black alloys, elongated lighsaber-like tail lights, a performance exhaust, and 20-inch black-and-white wheels. But, that’s just the outside. The inside was completely redone with Nappa leather and brown Alcantara with carbon-trimmed details. If this is the path to the dark side, lead the way! 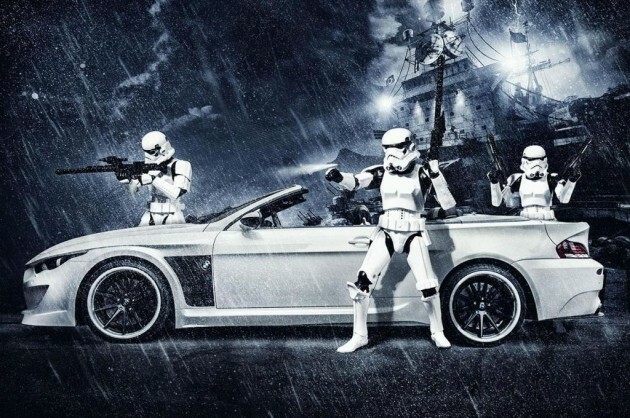 If you’re interested in owning a BMW Stormtrooper, better collect your battalion of troops and start a raid: a promise of no more than 10 cars to undergo this process has been made, and an Austrian owner is already driving the first one through the Swiss Alps. 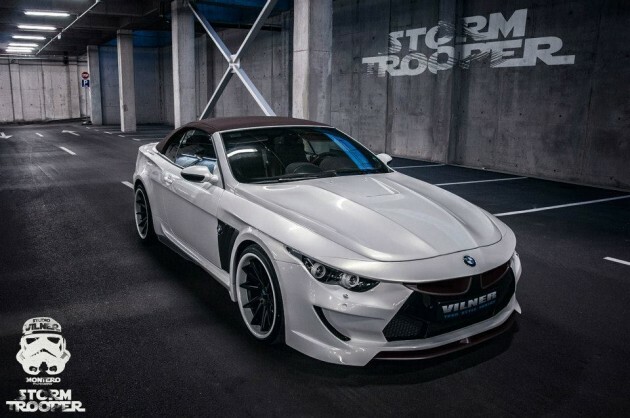 Check out the gallery of the awe-inducing interior and exterior of the BMW Stormtrooper.